Come to Graham County if you are at a crossroads in your life. If you have discovered that your life is too hectic. If you are recovering from an illness or you want some time to just think, then it is time for you to experience “Forest Bathing”. The Japanese practice of “Forest Bathing” is scientifically proven to improve your health. It has been proven to lower heart rate and blood pressure, reduce stress hormone production, boost the immune system and improve overall feelings of well-being according to an article written by Ephrat Livni in Quartz magazine. Since 1982, Forest bathing, literally just being in the presence of trees, has been a national pastime in Japan. Qing Li, a professor of the Nippon Medical School in Tokyo, measured the activity of NK cells in the human immune system before and after exposure to the woods. These cells respond quickly to virus-infected cells and react to cancer cells that are growing out of control. The amount of NK cells increased dramatically after a weekend visit to the woods and the positive effects lasted a month after returning home. Wow. It is believed that this is due to exposure of Phytoncide, a chemical that is emitted from plants and trees to protect them from insect pests and fungal infection. The air in the forest is filled with this chemical and current research supports that it seems to have a positive effect on humans too. Japan is taking this research very seriously. They have designated 48 therapy trails based on the results of a 4-million-dollar study from 2004-2012. The trees seem to positively effect both physical and psychological health. Although California appears to be the first state to act on this new research, the mountains of Graham County would be a wonderful place to designate therapy trails. 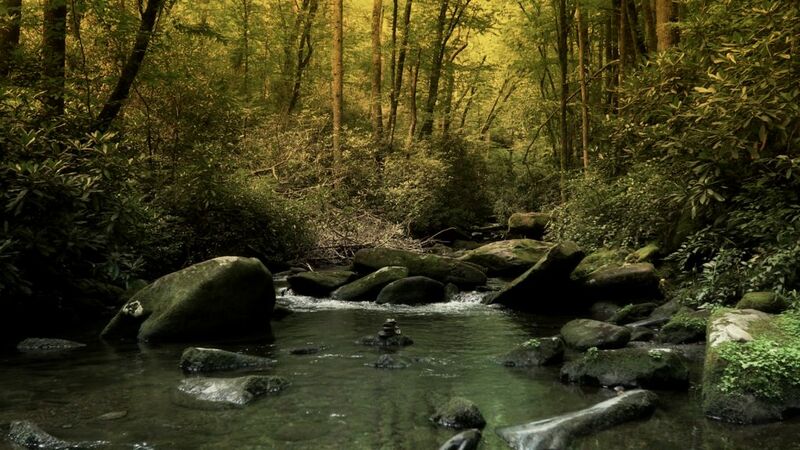 The two mile double loop trail in the Joyce Kilmer Memorial Forest is the perfect place to go. Graham County’s mysterious mountains, pristine streams and reflective lakes are waiting for you. Rent a kayak or bring your own and plan to set off on Lake Calderwood for a three day, two night camping adventure. Stay out one of the rental cottages or local lodges and take day hikes into the southern Smokey Mountain National Park or the Snowbird Mountains. Pack a picnic lunch and plan an afternoon at the top of Huckleberry Knob off the Cherohala Skyway, picking fresh strawberries and blueberries or flying kites. Explore the trails around Fontana and fly fish the famous streams near Hazel Creek or in the Snowbird Wilderness. Graham County is the perfect place to immerse yourself in the sounds and tranquility of the natural world. Take a break and come visit. You may leave with a new attitude and new insights to bring back home, or you may just decide to stay!. Graham County Travel and Tourism shared an album — at Snowbird Mountain Lodge. Incredible photos of Spring in #YourNaturalDestination from Snowbird Mountain Lodge with WNC, Naturally. Are you ready to join us? Looking for a last-minute, Easter destination? Join us in #YourNaturalDestination for a full weekend of fun, family, and fellowship. Graham County Travel and Tourism is at Graham County Travel and Tourism. Calling all Anglers! Here in Graham County, we're #YourNaturalDestination for World-Class fly fishing. "Graham County contains one of the very few hatchery supported streams in North Carolina that has a delayed harvest; Big Snowbird Creek." Click the link below to keep reading! Graham County Travel and Tourism shared a post — at Graham County Travel and Tourism. If you have a story to share or a question that has not been answered on our website, please get in touch with us via contact details listed below or fill out our contact form.